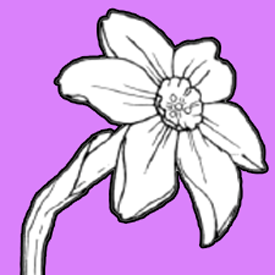 Today I will show you how to draw a Narcissus or Daffodil…a beautiful type of flower that is usually white and yellow, but can also just be yellow. I will guide you thru the simple steps of drawing a narcissus by guiding you with easy-to-follow geometric shapes, alphabet letters, and numbers. Draw #3 shapes all around the oval as seen above. 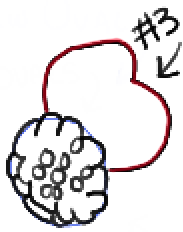 I highlighted them in different colors so you can see the #3-shapes. 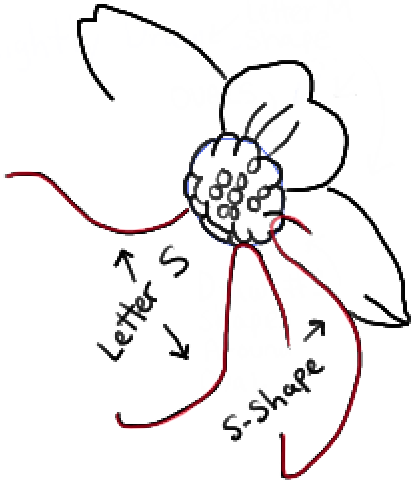 Draw ovals inside the flower. 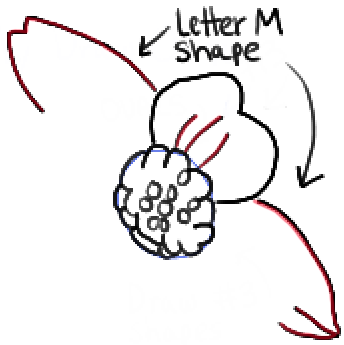 – Draw letter ‘M’-like shaped petals. 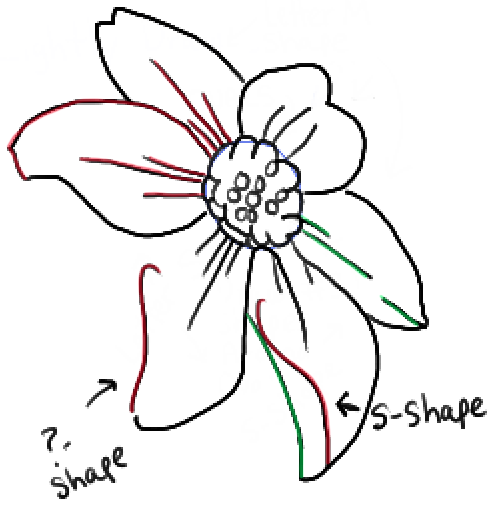 Draw curved lines inside the petal. 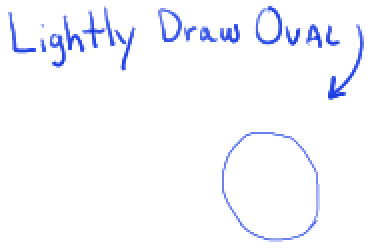 – Draw a few letter ‘S’ shaped curves. 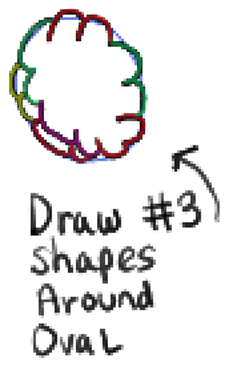 – Draw a ?-like shape, a letter ‘s’-like shape, as well as a few other curved lines. – Finish up some of the petals. 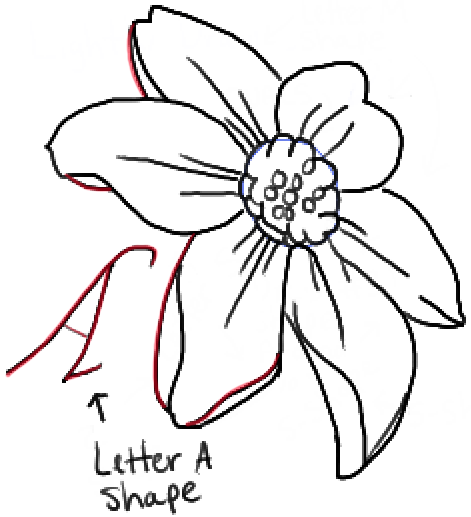 – Draw a fancy letter ‘A’-like shape..this will be the top of the stem. – Erase any guidelines or lines that aren’t necessary. 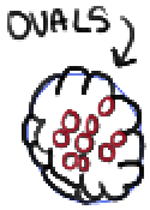 You can then color the flower in if you choose to do so. Come back for more nature tutorials or other types of drawing lessons. This is the best guide I’ve ever had! Thank you! This article was written on 25 Mar 2014, and is filled under Flowers, Nature.